We know that many of your enjoy seeing your work in print in (hopefully!) your favourite magazine. We are presently looking for more Reader Submissions (the one page submissions rather than Over to You items). So if you have a fantastic technique idea, an original design, or you've just made something stunning do get in touch! Initially we would like to receive your submissions by email, so photograph your project and email a picture to cs@traplet.com (don't worry about the photo quality - as long as we can see what it is that's OK!). Include a brief description of the piece, especially it has any special features or techniques used which may not be obvious from the photograph. Note that all submissions must include stamping in some form and remember that if you are successful you will need to send your project to us for photography. For this section of the magazine we do ask for previously unpublished work please. We can't wait to see what you send us! 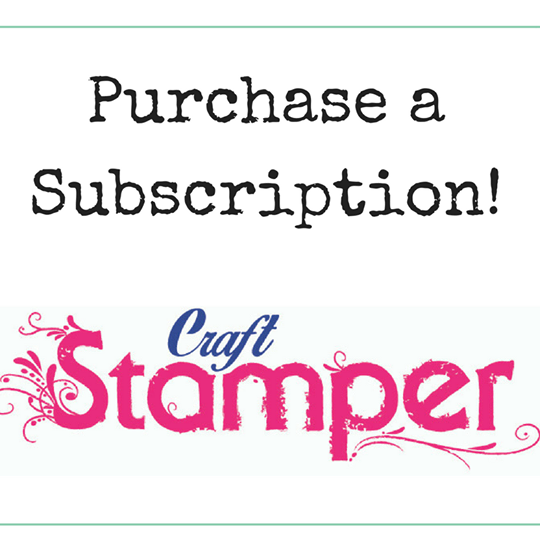 We thought we would try a new monthly blog feature all about our free cover stamps. 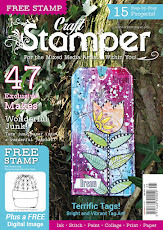 We know lots of you make beautiful creations with the stamps and we thought it would be lovely for blogging readers to be able to share their makes with each other via the Craft Stamper blog. This month’s stamp is a fabulous pair of bunting flags designed for us by Stamposaurus – great for the summer party season! Link up below to show us what you made with your bunting. We can’t wait to see your fab creations and when the gallery closes we'll pick a favourite to feature on our blog. Time for round three...of Stamper of the Year! Round three of the competition is sponsored by Imagination Crafts and to enter you need to make one item using an Imagination Crafts product - how easy is that? Imagination Crafts have an amazing range of goodies. Plenty of stamps to choose from but also paints, stencil pastes, inks and more. Full details of how to enter are in the latest issue of the magazine. This round of the competition closes on 31st July 2012. Can't wait to see your designs! (Don't forget there is still time to enter Round Two, sponsored by Chocolate Baroque - closes 30 June).